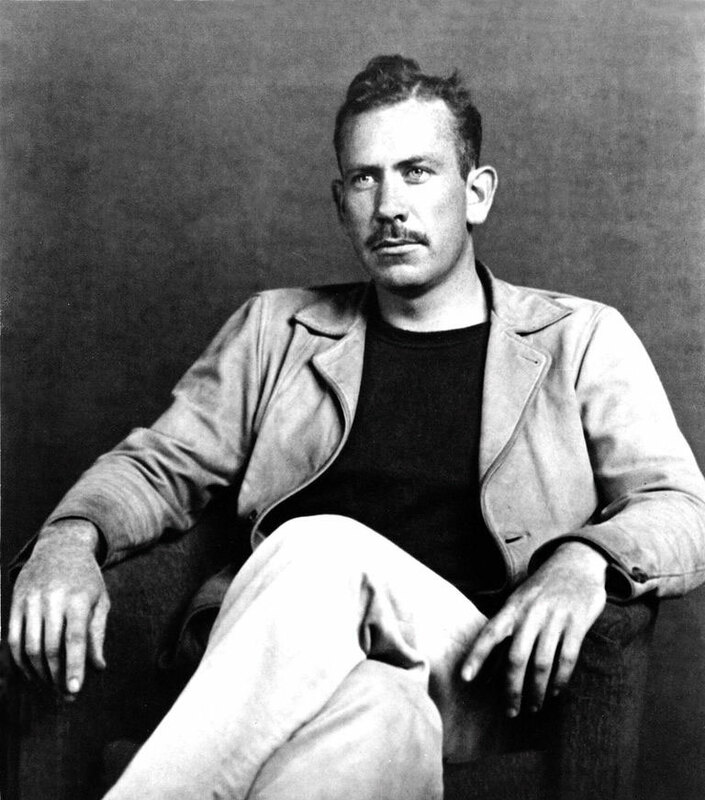 John Steinbeck’s clean, spare prose is pared right down. Every writer needs an inner editor and the nerve to cut, cut, cut. Moon in Scorpio would help with that. It gives emotional truth and ruthlessness. That moon is ruled by truth-seeking Pluto in Gemini, the wordsmith’s sign, and Mars, wielder of the cutting knife, in compassionate, imaginative Pisces. His moon is his critic, then. Then those planets in Pisces and Aquarius — the signs of Big Mind — speculate. His stories are concerned with the structural injustice, his protagonists are “everymen” — these are Aquarian concerns. (Charles Dickens is also Aquarius/Pisces, but he has lashings of Sagittarius in his chart — hence the the hugeness of his books. No paring Scorpio Moon.) The Pisces Sun-Mars in the “Scorpio” house emphasizes Steinbeck’s need for laserlike precision, but also his essential compassion. And perhaps a Venus-Mercury conjunction in Aquarius is the correlator. Venus is there to create balance through structured and beautiful thinking. His chart triangulates around that very central Pluto-Uranus opposition. This is a generational signature across the signs of communication, but in Steinbeck’s case Uranus and Pluto have a way of expressing that energy through the Mars in Pisces, which creates a dynamic T-square that brings in the Sun’s heat and power. This is his physical energy — and indeed he literally spent a lot of time on the coast and working along the coast — perfect for Pisces Sun-Mars, but then he turned that experience into books that spoke to his whole generation. Then there’s that sweeter triangle created by Mercury and Venus with Uranus-Pluto again. These are the words and art, but also in the seventh house, his many friendships and three marriages (Jupiter on the Desc). In fact, some critics argue that after the death of his friend the eco-warrior and biologist Ed Ricketts, the energy left his writing. But if that were the only planetary play in his chart, he had he might have written rather romantic, dreamy evocations of his experiences. Instead his destiny was to criticize his beloved homeland (Scorpio Moon in the 4th plus NN) and so create great and lasting art. With Saturn in Capricorn in the 6th, he was always ambitious about his work. Can you see any more of evidence of the three arguing voices in his chart?